Our Mission: Taos Community Foundation connects people and opportunities, generating resources to build a more creative, caring, and thriving community. 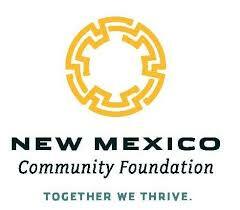 Mission: The Community Foundation of Southern New Mexico serves as a community resource, connects donors to needs, and supports charitable organizations in their work. Mission: to build, invest and manage endowment funds to enhance the quality of our community through informed strategic grantmaking. Mission: To steward community resources, build partnerships, and create opportunities that transform lives throughout New Mexico.